​The events of the last season brought the mutant population from millions to 198. Despair ran through the Xavier school, the ashes of Genosha, Mutant Town and beyond. This season Beast tries to come up with a way to bring the species back from the brink of extinction. Look at all them pretty graves. Beast goes across the globe in search of a solution to the decimation crisis, running into a slew of villains, old friends, and surprises along the way. The Avengers know all about what happened during House Of M so they’re super worried when a new cosmic entity shows up in Alaska that appears to be a mutant. What it is is much, much worse. The heart of the post House Of M world is X-Factor. Peter David’s decision to draw from the event and then only skirt around the other crossovers works really well, making this book much more engaging than any of the other X-books. In these two volumes they deal with mutant terrorist cells, the truth behind Decimation, the enigmatic Layla Miller, and the X-Men who really want them to pick aside in Civil War. A mutant child is born in Alaska and every mutant and villain are fighting for control of it. Marauders. Purifiers. Reavers. Mr Sinister. Forge. Lady Deathstrike. Mystique. Pretty much everybody but Apocalypse is involved. And in the end, the X-Men are betrayed by several of their own. But at least there’s hope. Also, Madrox and Layla Miller go to the future to learn what they can. It doesn’t go well. X-Factor had a rough time during Messiah Complex and Madrox and Layla’s return to Mutant Town isn’t precisely restful. Plus, Quicksilver has had a rough time of it since House Of M but maybe things will finally turn around for him. Also, Val Cooper from the early X-Factor days gets some comeuppance. Mystique wreaked havoc during Messiah Complex, and Logan decides he needs to make her pay. Tasked with keeping the future of mutantkind safe, Cable travels through the future with Hope but they are constantly being trailed by a certain turncoat X-Men who thinks Hope is the key to mutantkind’s extinction, not their salvation. Just when you think X-Factor couldn’t get any darker, it does. Longshot, Darwin, and Shatterstar join the team. Madrox goes back to the future and we finally learn why Layla Miller “knows stuff”. Returning from their adventures through time, Cable and the child are greeted by X-Force and a litany of villains still trying to claim the messiah child as their own. 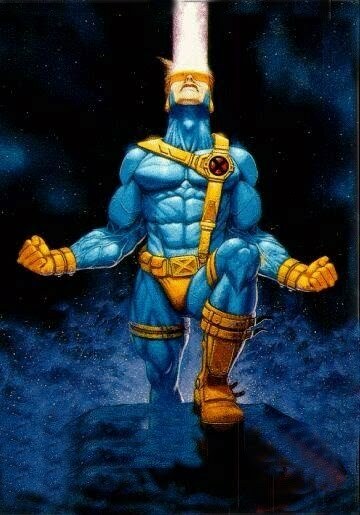 Remember how I said it was everybody but Apocalypse? Yea, well, Apocalypse shows up. Plus, Deadpool and Cable have some long unfinished business. ​Having been shot by a traitorous X-Man earlier in the series, Professor X is being put back together by an unknown benefactor memory by memory. Meanwhile Cyclops and Emma Frost go to the west coast to examine the future of mutantkind. 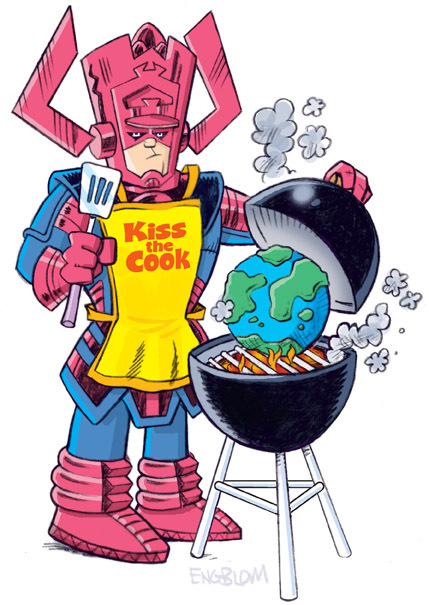 Galactus and The Dark Phoenix eat planets and suns. The Red Skull cashed paychecks directly from Hitler himself. But ask your average person who the scariest villain in comics is and they'll choose either Lex Luthor, Magneto, or The Joker. Lex is a MENSA level billionairre who hates aliens and poor people. Magneto is a Holocaust survivor with the power of magnetism (he's not so much a fan of Red Skull). But The Joker is perhaps the most terrifying of all. He has no super powers, no millions of dollars, he's merely a sociopath with a sense of humor, and a very complicated relationship with Batman. But where does The Joker come from? What set him on his life of crime? Who was he before he showed up in Batman's rogue gallery? What's his real name? What makes The Joker an effective villain is that those questions have never really been answered. There's no Holocaust in his background. There's no absuive parents. No orphanned when your parents threw you out of an airplane before they were enslaved by aliens. The Joker occasionally offers a piece of his past, but will later contradict it. A gag that's used beautifully in The Dark Knight. So, given The Joker's muddled history, it's not much of a surprise that, even by comic book standards, his continuity is an erratic mess. Several writers have written origins or first appearances for The Clown Prince Of Crime. Most notably in recent years, Ed Brubaker and Michael Green. During "Jack"'s crime spree, Bruce Wayne meets a woman named Lorna. The introduction of a love interest in a story involving The Joker can only mean one thing. She gonna die. And, of course, Batman has to watch. With Lorna bleeding in his arms, he decides he can't go after Jack, so he tosses his baterang after him, marking his face into a permanent smile. Now willing to do whatever it takes to pursue Jack, he calls in a favor from the mob, and consults a Gotham psychiatrist named Jonathan Crane, who labels Jack's methods insane. While the mob is holding him, Jack escapes and gets in a gun/fist/lead pipe fight with his captors, and ends up falling into a vat of anti-psychotics. Voila, Joker. Whose first two acts are a crime spree, and an act of altruism (paying all of the future Miss Harley Quinn's college expenses). Also, it turns out that Lorna doesn't die, but decides Gotham isn't safe, and Julie Madisons out of town. The Man Who Laughs doesn't bother with The Joker's past, but focuses on his first crime spree in Gotham. It could almost be a follow-up to Lovers And Madmen, except that Gordon and Batman are unfamiliar with The Joker, despite having arrested him at the close of Lovers And Madmen. The whole story is pretty much a three issue summation of a Joker story. There's gas, there's the relationship between Batman and Gordon, and Batman blaming himself from creating The Joker. This story also outs Gordon as being associated with Batman, allowing him to create The Bat Signal. The Man Who Laughs trade paperback also features a backup story,with pencils by Patrick Zircher, called "Made Of Wood". If you're reading this for chronological sake, put the book down as this story comes waaaaaaay later in The Batman mythos.